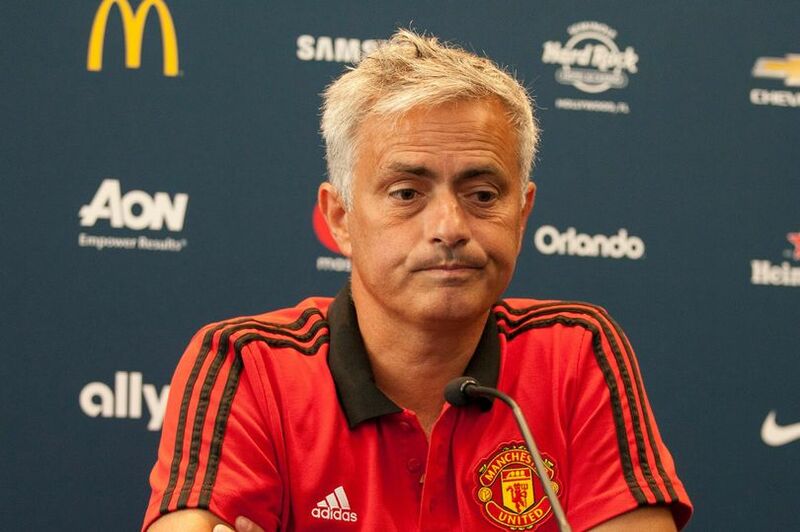 Jose Mourinho has said that Saturday’s English Premier League clash between Manchester United and Arsenal is not a must-win game. The Portuguese also gave update on his injured players. The Old Trafford outfit sit in second position, eight points adrift leaders Manchester City. A win will see them put pressure on Pep Guardiola’s men who will host West Ham United at the Etihad Stadium 24 hours later. Addressing his pre-match conference, Mourinho said, “I play a game at a time. I play a game at a time and is the way to do it, is the way to do it. “Yesterday I was watching an interesting movie, Borg vs McEnroe, and Borg’s coach was telling him that all the time – ‘one point at a time, think about just one point’. “I tell my players to just think about the game. It’s just the game, it’s Arsenal, we don’t think about how many points we are behind, it’s just Arsenal. On his criticized defensive style of play, he added, “It depends with what you think about risk, I think in the beginning of football, the guy who decides to say defenders, attackers, this guy was bad, because everybody has to defend and attack, especially in modern football,” he added. “So for me you can say what you want, my goalkeeper needs to know what to do when his team has the ball, how to attack, and my striker needs to know how to defend and what to do. This is simple, for me it’s simple. The Red Devils will not travel to the Emirate with Eric Bailly, Phil Jones and Marouane Fellaini for the game and there is also doubt about Nemanja Matic who is not hundred percent fit game for the game.